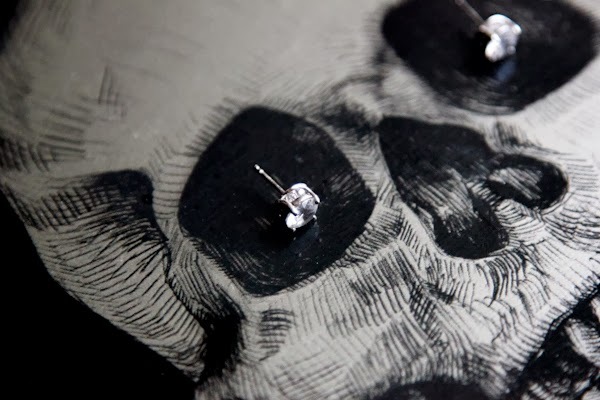 Berricle recently contacted me to pick out a pair of earrings, and I quickly knew after surveying their site that I wanted a pair of studs. A few years ago, my parents gave me a pair of simple diamond studs that I loved. Despite the complicated array of earrings that I have, I like uncomplicated jewelry. I tend to put on a pair of earrings and not switch them out for months. And so the studs sparkled in my ears for a very long time, until one day I noticed that only one ear was sparkling. These studs that I chose are an affordable alternative to my long lost earring(s? ), and I love how the detail of additional sparkle along the perimeter of the earring makes them a bit different from your standard studs.